Alternatively you can purchase the book from Minor Compositions website here for only £10 and you will know that your money is going straight back in to supporting radical publishers and the radical press rather than the cut that Amazon etc take from online selling. My chapter for this book examines the Gramscian concept of the Organic Intellectual through the discourses of the editors of a selection of British anarcho punk ‘zines from 1980-1984. I recently had a journal article published in a journal of which I am an advisory board member Punk and Post Punk (Vol 4 No’s 2&3). The double special edition featured work from a number of Punk Scholars Network members, of which I am on the steering committee for, and was proud to have my work alongside such luminaries. The article is about how popular music histories are documented and the formation of musical canons to reinforce particular histories of popular music. I use Alexander Oey’s documentary about Crass , “There Is No Authority But Yourself” as a way of investigating and challenging how punk histories are constructed through the use of the moving image. A video seminar of me presenting some of my work on anarcho-punk fanzines at Northampton University. This presentation focuses on the role that alternative publications played in the cultural, political and ideological practices of the British anarcho-punk movement between 1980 and 1984. 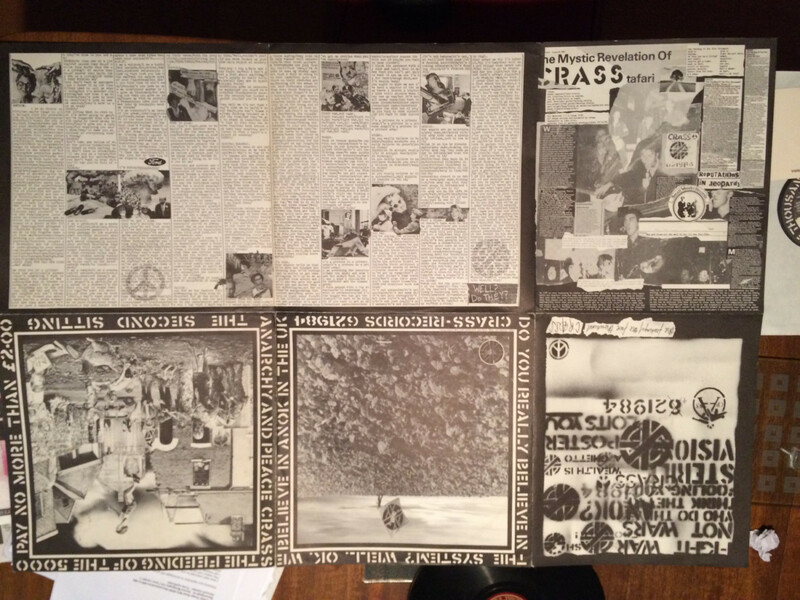 I explore the way these ‘zines disseminated the central ideas of anarcho-punk and the way that the editors mediated a shifting notion of anarcho-punk. In doing so I seek to move beyond the simpler notion that ‘zines acted simply as channels of communication, but to the idea that discourses of resistance and defiance are constructed and reinforced through the embodiment and undertaking of ideological work of ‘zine editors as ‘organic intellectuals’ and thus represent cultural work. This raises some interesting questions about the role of ‘zine editors/producers as key agents in articulating the perceived central tenets and identity of a subcultural movement. Where previous studies on ‘zines have alluded to the role of editors little emphasis has been placed on the way that these ‘zine authors take on leadership roles and perceived positions of authority. I examine how DIY fan production practices, through the articulation of specific and at times oppositional ideological positions contributed to the construction of the musical, cultural and political boundaries of the anarcho-punk movement. Therefore this presentation explores how these discourses of political position, authority and identity were mediated and the sense of an anarcho -punk movement that they constructed. I have a co-authored chapter with fellow BCMCR/Interactive Cultures member Tim Wall, concerning punk fanzines,soon to be published in an edited collection of writings on punk rock and politics. Transferring symbols of defiance from the print to the digital age? What role do specialised publications play in the consumer’s experience of sub-cultures, music and the shaping of its meanings? Drawing on ideas from authors such as Teal Triggs (1995 & 2006), Chris Atton (2001) Marion Leonard (2007), this chapter explores this role through the pages and practices of British anarcho-punk fanzines, in their print and online incarnations. Fanzines have long been regarded as representing the underground, independent, or the alternative to mainstream publishing as the communities that develop around fanzines are both consumers and (at times) the producers. When punk emerged, fanzines soon became one of the main means of communicating the ethos and values of this new subcultural and its musical style, as their production and distribution practices already embodied some of the cultural practices developing within the DIY approach of punk. Our concern in this chapter is with the role of the fanzine as arbiter of taste, its ability to articulate a specific (often oppositional) ideological position, and its construction of discourses of authenticity. We will also examine the role of the fanzine as an element in the construction of musical scenes, and in the identity and sub-cultural capital of its producers and readership. Our analysis focuses primarily on the specificities of ‘British anarcho-punk’ fanzines of the 1980s where discourses of defiance and opposition are constructed, embodied and reinforced within the anarcho-punk sub-cultural movement. While it may be assumed that the practices and associations of the printed fanzine have simply migrated online, we examine and evaluate the continuities and discontinuities between the print and online incarnations, and the role that they play in constructing the ideology and identities of anarcho-punks. Using search criteria to identify those online versions that identify themselves as digital online punk ‘zines’, I seek to determine whether the same or similar articulations of defiance, anarchism and anti-authoritarianism are apparent in the digital texts. This essay assesses the extent to which the same discourses and discursive practices are apparent in other online punk ‘zines’, such as e-zines and per-zines. In doing so examines how the inclusion of the term ‘zine’, within the meta data of their digital manifestations, is used in the wider commercial and cultural context. “Where There’s a Will There’s a Way”: Methodology, investigating memory and the life-courses of 1980’s British anarcho-punks. Taking its title from 1980’s British anarcho-punk band Discharge, this paper investigates some of the issues faced by researchers conducting qualitative research interviews focussed on memory and the politics of everyday life. I will draw on my on-going doctoral research into a group of participants of the 1980’s British anarcho-punk scene and what significance that their engagement with British anarcho-punk has had on their lives. My doctoral research aims to build upon work about fan identities and practices within life-course transitions and the negotiation of fandom and identity amongst older fans produced by Hodkinson 2013, Harrington et al 2011, Bennett and Taylor 2012, and especially Bennett 2006, Davis 2006 and 2012, which examined the wider punk rock scenes. Drawing on the work of Harrington & Bielby (2010) and Vitale (2013) I aim to contextualise my study and discuss the application of the life-course framework to my research. Additionally the presentation will raise some of the issues involved in memory studies as highlighted by Wang & Brockmeier (2002), Van Dijck (2006) and Labelle (2006). Drawing on the work of Rubin & Rubin (1995), Wengraf (2001) and Kvale & Brinkman (2009) I discuss the processes of and issues involved in conducting qualitative in-depth research interviews, the ethical considerations involved in this approach and managing interview data. How Close Is Too Close? The role of the punk rock ethnographer and their relationship with their research subjects. Drawing on my personal experiences of touring with anarcho-punk band Addictive Philosophy in 2013, this presentation firstly discusses the significance of gaining and presenting subcultural capital as a way of gaining a more in-depth insight of a specific music scene, and therefore seeks to uncover the sometimes blurred distinction between researcher and research participant. In doing so it raises issues around the ethical dilemma of involvement and participation for the ethnographer and their relationship with the research subjects in the documenting of reality. Secondly I discuss the role of the radio documentary producer; from the interviewing and recording process to the editorial decisions that were subsequently made to enable the creation of the documentary. This also raises issues of the documentary producer’s desire to present reality whilst contending with regulatory broadcasting restrictions. I demonstrate how my initial intention of making a radio documentary of the tour soon expanded into a much larger documentation and critique of the current anarcho-punk scene in the UK and Ireland. 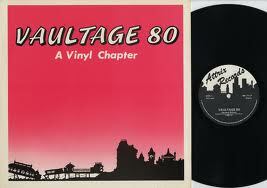 The finished documentary was shortlisted for ‘The Charles Parker Radio Awards 2014’. I have really enjoyed teaching Sophie and similarly I am enjoying working alongside her in developing her presentation. I am hoping it will be a really valuable experience for her and may encourage her to return to academia and engage in some post-graduate research and study . One of the issues around maintaining a blog is time spent writing for it when perhaps I should be spending that time writing for my PhD. Anyway I am going to post a brief update here as a break from some philosophical reading I am conducting on Paul Ricoeur (Time and Narrative) and Michel Foucault (The Archaeology of Knowledge) both recommended by my new, yes new, supervisor Nick Gebhardt. Nick Has recently joined the Birmingham Centre for Media and Cultural Research from previously being at Lancaster University. He has a wealth of knowledge and some really erudite advice and I am really pleased to have him as a supervisor./ My other primary supervisor Prof Tim Wall has other commitments as the new Faculty Dean of Research however he has kindly committed to continue to support me as a third supervisor. So new supervisor and new progress-I recently presented my work so far to a panel for the transfer from MPhil stage to PhD stage. It was a 35K word lit review and a couple of case studies-fortunately it was approved so I have now achieved the status of being a master in my field of research. The next step was to present my new research proposal to another panel to see if my new line of investigation was worthy of conducting and worthy of approval. I am continuing with my investigation of anarcho-punk but my particular interest now is in the memories of the scene participants/ audience/ fans that were not necessarily band members though they are not ruled out of this project. • Secondly how that involvement has influenced and/or impacted on their subsequent life courses, life choices and decisions, past and present, and shaped their lives (or similarly perhaps not). I have decided to conduct a set of interviews this coming year with 5-6 participants that I am currently in the process of identifying and contacting. So far I have placed a couple of requests on punk forums and the response has been very encouraging with quite a few people expressing a strong interest in participating. Interestingly enough only one female response-which I am grateful for as I think the lifecourse trajectory of female participants may vary from those of male participants-I will no doubt find out. I am working my way through the methodological and ethical approaches to this form of data gathering and how my line of questioning will develop. One of the particular issues I will face is around people’s memories which includes memory recall, accuracy, memory narratives (hence Ricoeur and Foucault). Memory (and forgetting) is often problematic when trying to piece together historical analysis. I will be discussing this in more detail over the coming months hopefully in a set of blog posts here. 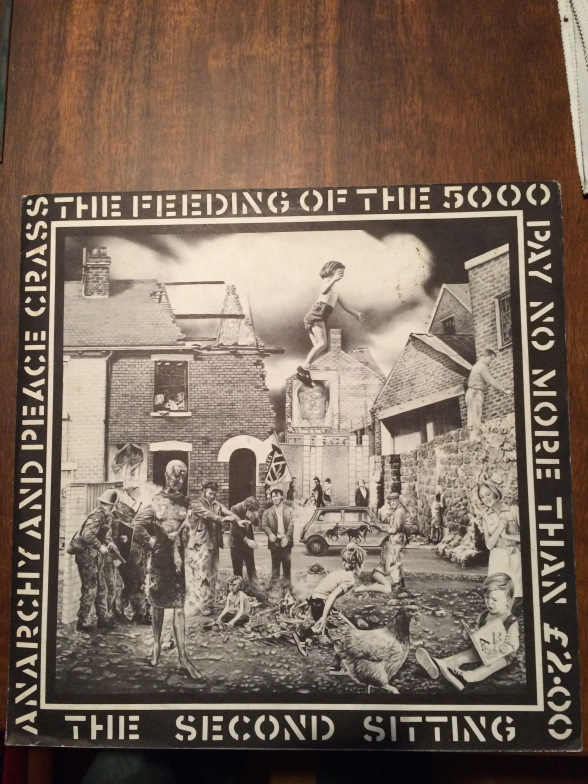 No Sir I Wont: Reconsidering The Legacy of Crass and Anarcho-punk. Punk Scholars Network Symposium. A couple of weeks ago I attended the third Punk Scholars Network event organised and hosted by Pete Dale and the Oxford Brookes University Popular Music Research Unit. The title of the symposium was “No Sir, I Won’t”: Reconsidering The Legacy of Crass and Anarcho-Punk. The day started off with a pleasant taxi ride from the station with Pete, Penny Rimbaud, drummer and one of the founder members of Crass, and Sarah McHendry, musician and activist, member of Mwstard and former drummer of Curse of Eve, Baba Yaga and Witchknot. On arrival me, Penny and Sarah went off for a coffee at which point I started testing the ground with Penny about the paper I was to deliver that day on Crass and the documentary “There Is No Authority But Yourself” directed by controversial Dutch filmmaker Alexander Oey. My reason for broaching the paper with Penny, in advance of my presentation was because I felt quite nervous discussing somebody in the first person whilst they were there in the conference audience. It seemed from our discussions that my interpretation of the documentary was along the same lines as what Penny and Alexander were trying to convey through the documentary. Whilst this was reassuring I was yet to see how the audience would respond to my reading and the line of questioning I might get from Penny et al after I had presented. The first presenter of the day was Rich Cross whose paper was focused around discussions on the anarcho-punk/ peace punks’ relationship with the 60’s hippy counter culture and the development of political violence in the anarcho-punk movement. In his discussions he proposed that the singular fixed view of pacifism being integral to the early anarcho-punk movement misrepresented a more complex and contradictory reality, within the movement, where adherence to pure pacifism had become a contested principle. 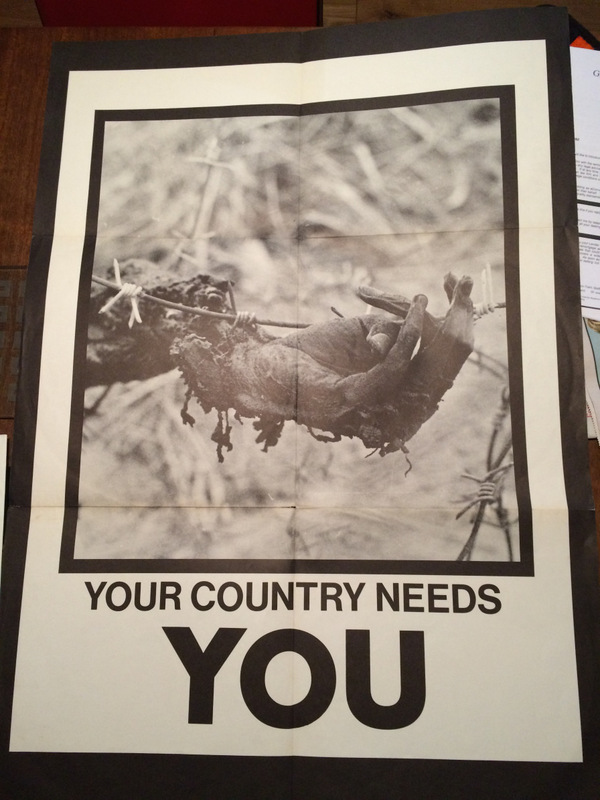 He drew on examples of the movements involvement with varying political groups including anti- fascist, animal liberation, anti- capitalist, Class War, Stop The City etc and how that involvement challenged the original pacifism of anarcho-punk and saw some anarcho-punk militants adopt newly confrontational approaches. Second up was a stimulating paper from Jim Donaghey who discussed anarchism as a politics of punk and punk as a culture of resistance. He proposed that there is a supposed gulf between ‘lifestyle’ and ‘ social’ anarchism where anarcho syndicalist’s ‘workerist’ interpretations of anarchism are somewhat in conflict with the social/ cultural interpretations of punk. In his paper he mapped out the anarcho-syndicalist principles of Rudolf Rocker onto DIY punk where it could be argued that the ‘workerist’ means of production are in the hands of the producers within DIY punk. In doing so he argued that a major foundation for successful struggle is a culture of resistance in which DIY punk contributes to in the contemporary anarchist milieu, as DIY punk bridges both political/personal and cultural/material. After me was Ana Raposo, who also presented an interesting paper on how politics are represented in anarcho-punk music graphics. The core of her paper investigated how content and stylistic devices of music packaging are utilised as a propaganda tool and used for specific purposes such as loyalty or allegiance to a scene, strengthening an existing scene or recruiting people into the scene. In doing so they also present a critique of contemporary realities or utopian environments. she drew on some interesting graphical examples to demonstrate these processes at work. In some respects it was a way of also articulating or putting an additional voice to some of the graphical content of Russ Bestley’s exhibition. Last presentation of the day was from Pete Dale. He drew on the work of Ian Glasper’s series of books on underground UK punk, which provides an oral ‘history’ and a useful document of the politics of punk music and culture. In this insightful and at times amusing presentation Pete explored the notion of punk being about ‘more than music’ and pieces together some of the verbatim quotes of informants and contributors to Glasper’s books to paint a picture of the relationship between punk’s music and political affiliations and the way they changed over time. In doing so Pete pieced the quotations together to show how a clearer understanding of where punk amounted to ‘more than music’ and where it also failed to amount to such. Here is also a link to Rich Cross’ presentation slides from the conference and will also take you to his excellent blog. 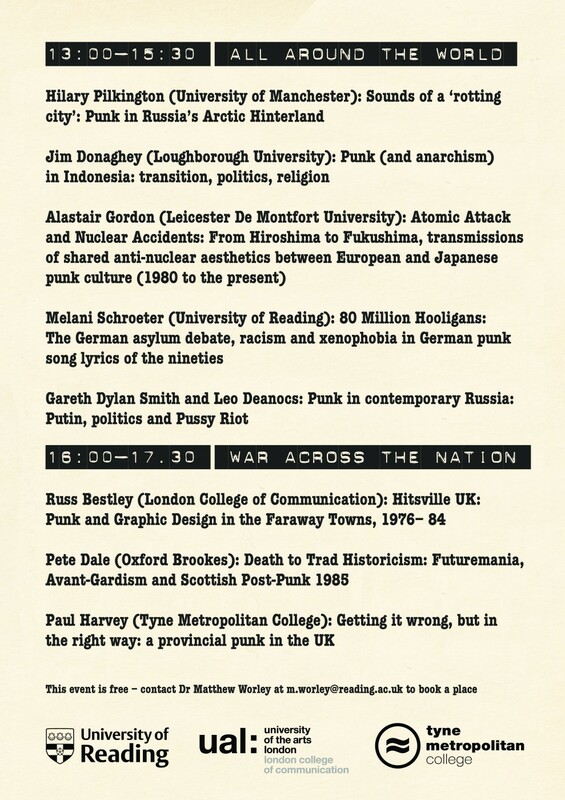 I recently attended the second Punk Scholars Network (PSN) event hosted by Dr Matt Worley and the School of Humanities at Reading University. The PSN, of which I am a member, has been in existence for approximately 8 months and is a collection of academics, and some non-academics, that have an interest in researching and investigating punk and its many musical, cultural, social and political facets across many disciplines of study and research. This event was titled Punk In Other Places: Transmission and Transmutation and entailed a collection of presentations considering punk, its global ‘reach’ and localities. The first presentation was from Hilary Pilkington (University of Manchester) who discussed an ethnographic study of a punk scene in a post-industrial post USSR town (of which the name eludes me) in Russia’s arctic hinterland. Described by the local punks as a ‘rotting city’ Hilary’s study followed a group of local punks and examined in what ways the group defined themselves as ‘punk’ and how that particular subcultural group negotiated their place within the city and alongside other subcultural groups. The particular town was in both industrial and social decline and many young people would leave and move to larger metropolis, whereas some, including this particular group of punks, decided for one reason or another to stay. One of the interesting things to come out of the study was how the many subcultural groups in the town would share places, spaces and resources within the city to maintain their scene. Despite the groups were fundamentally different in their music and style they appreciated that due to a lack of investment and resources they were having to renegotiate their subcultural boundaries in order for each of those scenes to survive. The second presentation was from Jim Donaghey, a PhD candidate from Loughborough University who is researching his PhD around notions of anarchism within punk scenes in UK, Poland and Indonesia. In this particular presentation he discussed some of his findings from a recent visit to Indonesia where he was conducting an ethnographic study of Indonesian street punx (sic). His study highlighted how 2 particular groups of street punks expressed their punk aesthetic, anarchistic beliefs and politics in a country with a regime that was both extremely politically and religiously (Islam) repressive. Marginalisation, discrimination and physical intimidation were regular themes that came out in his work, but despite this there is a sense of positivity and deep comradeship within the punk scenes he is investigating. Those scenes are deeply immersed and entrenched in the DIY principles of punk as access to media and resources to support them are barely available and would also bring them to the attention of the authorities that regularly clamped down on any youth cultures that fell outside of the ‘norm’ in both the eyes of the authorities and the local religious leaders. You may have read last year in the Guardian newspaper about groups of street punx in Indonesia being rounded up by the religious authorities and sent off to ‘ youth boot camps’ where they were ‘de-punked’ (heads shaved, piercings removed etc.) and ‘re-programmed’ (religiously and socially) before being returned to society as a ‘normal model citizen’. Quite repressive and disturbing. Following on from Jim was a presentation by Melanie Schroeter of Reading University who discussed the issue of racist and xenophobic lyrics in German punk song lyrics of the nineties. Applying discourse analysis to the lyrics she highlighted the relationship between German punks and the asylum debate following on from the fall of the Berlin Wall and series of racially motivated attacks on hostels housing immigrants. Following on from Russ was an interesting talk From Pete Dale who started his discussion around Scottish post-punk by delivering a searing critique of Simon Reynolds and his work on post punk and how Reynolds attempt to locate his work in academic theory and theoretical grounding failed-I can’t quite remember the full content of what Pete said but I remember it being controversial and received some nods from the audience. Note to self: remember to take a digital audio recorder to future events. Last up was Paul Harvey who discussed his journey from playing with Penetration (a great Scottish punk band who I was/is still a fan of) to academia. His story was one of reticent acceptance into the academy but came about from his excellent PhD that linked Stuckist art to punk through questioning the whole concept of authenticity,what makes punk ‘punk’ and punks relationship to Dadaism and the Situationist movement. I thought his deconstruction of notions of authenticity in punk through the questioning of memory and what he referred to as ‘fabricated cliches’ was insightful. All in all a great afternoon where I met some really interesting scholars and am really looking forward to the next one.